Welcome to The Whimsical Wife. 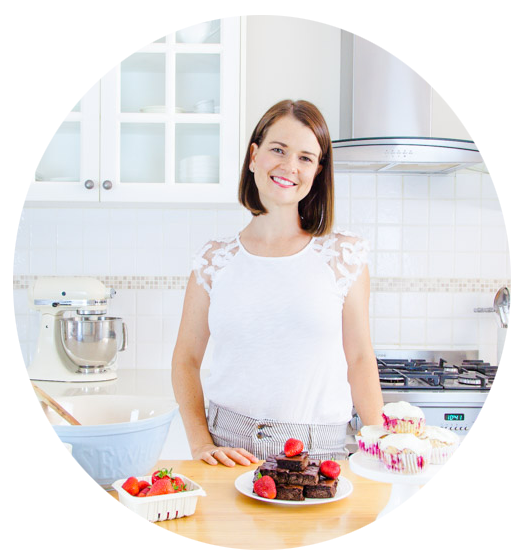 Thanks for popping in to share my adventures in the kitchen, in my home and my workshop as I Cook, Create & Decorate. I posted on Instagram last weekend on my story reel about how I meal prep my lunches and snacks for the week ahead. To preface this post I am talking about meal prepping lunches and snacks, not dinners. I had a thought that maybe somebody else just might be interested in how I go about meal prepping for my lunches and how it has affected my health in doing it this way. So I thought I would sit down and write a post on how I go about prepping for the week ahead and the tips and tricks I use to save time too. Meal prepping has changed my life. Literally. It has improved my health, my stress levels and helps me stay on track diet wise throughout the week. It has revolutionized my relationship with food and helped me eat more of a well-balanced diet. Hello, more vegetables! I found after three bouts of morning sickness with my kids my diet was not in a good place after surviving on dry toast and biscuits for nine months then eating all the bad things once I started breastfeeding because I could. So what made me start meal prepping my lunches for the week ahead? My health was the main reason why I started meal prepping. Early 2017 saw me I suffering from severe Post-Natal Depression after having Little Miss A and was also suffering severe health issues on top of it. I put it down to my body saying enough is enough after having 3 kids in under five years. I don't think I have ever felt so unwell in my life during that season. It wasn't pretty. During that time with my health at it's all time low I physically couldn't eat a whole lot during that time. My diet was down to steamed vegetables and plain chicken or fish and soft foods like bananas, avocado and yoghurt. I lived on that for months. I had severe digestion pain that led me to eat a very plain and uninspiring diet for what felt like a lifetime. During this season I started prepping a whole bunch of steamed vegetables over the weekend so that I had food to eat during the day because I just couldn't pull something out of a packet or bag while juggling three kidlets, one being a newborn baby. Goodbye toast! I lived on those plain foods for breakfast, lunch and dinner. Even though going through a difficult time with my health I feel like I developed a foundation of meal prepping that has brought to me where I am today. During that year I did get diagnosed with Gastritis - severe inflammation of the stomach which nobody could really pick up the cause of. There were hints it could be due to a gluten intolerance (not coeliac) that I was also diagnosed with a few months later and after cutting our wheat from my diet I have seen quite a bit of improvement. As I mentioned my diet needed a bit of an overhaul and sometimes health crisis's get your attention that way. You have no other choice but to make a change. I never had a great routine for lunches while the kids were babies. It was normally a smoothie or salad and tuna but more often than not I relied on vegemite or avocado on toast because I just did not have the energy to make something and more often than not I would pull out a piece of chocolate and some nuts and call it lunch and go for a nap as soon as the kids went down. A lot of sneaky treats were also making their way into my diet and I was relying on them to get me through the day. Hello sugar rush. So how do I go about meal prepping my lunches for the week ahead? Well, I have it down to a bit of an art and this is what I do for what my body needs at the moment. I am still on a bit of a restricted diet as I heal my stomach. It's been a journey with a fair bit to go yet. This is a basic overview of what I prep for myself for the week ahead. I will break it down and add suggestions to each section of what you could sub or add if you want something different. I choose to do my meal prep on a Sunday as we go to our local farmer's markets that morning and pick up all our fresh produce for the week ahead. If that day doesn't suit you I would recommend picking a day to dedicate an hour or two for prepping for the week ahead. The food I am showing you in the post below took me about 90 minutes to prep and cook as well as clean the kitchen in the process. It probably could be done quicker but I was taking photos in between as well. Prep: Choose 2-5 of your favourites to roast. I generally cut into a smallish dice and drizzle with a good glug of olive oil, salt and pepper and sprinkle over my favourite herbs and spices. I went with an Italian herb blend with this batch but I have used Zaatar, Dukkah and a mix of whatever takes my fancy - such as cumin, fennel, paprika etc. Don't be afraid to have fun with herbs and spices with your roast vegetables. In this post, I went with carrot, sweet potato and cauliflower. Don't be afraid to swap out the sweet potato with pumpkin, add capsicum or whatever other vegetables you love to roast. Store: I generally store the cooled roasted vegetables in click-top containers in the fridge seen in the pics below. To eat I simply make myself up a plate of goodness and warm slightly before devouring. Prep: While you might think why don't I just put all the veggies in a roasting tin and be done with it but I like the variations of sauteed greens and mushrooms. I generally add a good dollop of coconut oil to my favourite cast iron pan and add in halved Brussel sprouts and fry for a couple of minutes until they become brown and crispy. I add in the beans and let these saute for another minute or two before adding a good splash of chicken stock/broth. I haven't made my own broth in a while so I've been using this one. Once the broth is added I put a lid on the pan and let it simmer for about five minutes or until the Brussel sprouts are just tender. Remove them from the pan before adding another dollop of coconut oil to the pan and popping in sliced mushrooms to brown. Remove these and brown some diced zucchini in the same pan. You could change up the greens with some kale, spinach or snow peas. Again use whatever you have in your fridge or find at your local farmer's market/supermarket. To pimp, this dish up add some freshly minced garlic, chilli flakes or slivered almonds for some crunch. Again have fun and play around with flavour combinations. Store: The same as the roasted vegetables above. I use some clip-top containers for all my lunch meal prep options. I make a fairly big batch of both of these options so that I will have enough for lunches every day during the week and sometimes I use these for part of my dinner at night if there is something I can't eat that the family is having for dinner. I know I haven't included any salad options here but it's because I have trouble digesting hard, raw things at the moment so this is my meal prep. That being said don't be afraid cut up a whole heap of salad options such as grating carrot, slice cucumber (making sure to remove the soft centre for longevity) cube cheese, slice up capsicum - basically whatever salad options float your boat. Store them in separate containers and pull them out when you are ready to pull together lunch. I haven't talked about protein options yet so here is a basic rundown of some ideas for protein prep ideas. I generally pick up a tin of tuna for my lunches or fry an egg if I haven't already eaten one for breakfast. That being said I think I might start getting into prepping some proteins for the week ahead. Here are some quick and easy ideas. Prep: You could poach, fry or bake some chicken breasts sprinkled with your favourite herbs and spices combo. My favourite way to cook chicken breasts is to caramelize each side in a pan and then pop the pan into a 180 degree preheated oven and bake for 12 minutes or until the centre bounces back when pressed on it. Chicken, not your thing? What about some meatballs made out of turkey, beef, pork or lamb mince. Add in a bunch of grated vegetables along with some spice and roll into balls before either frying or baking off. You could use some fresh ham straight off the bone if you have some in the fridge for an instant lunch without having to pre-prep it or your favourite deli meat. Another high protein food you could prep would be a batch of quinoa. It will last the week in an airtight container in the fridge and will bulk up your lunch and keep you fuller for longer. Just remember to rinse it thoroughly before cooking to remove the bitter taste from teh seeds. Store: If you cook up a few chicken breasts or meatballs pop them into airtight containers or Ziploc bags and add the name and date on them and simply defrost when needed. I pre-slice the chicken breasts before putting into the storage container so that I can just pull out how much I need. I do keep some fresh chicken in the fridge for a maximum of 3 days. This would also apply with the meatballs. Prep: I have just started making a dip of some kind for snacks throughout the week. The one I made this week was really easy to do and tasted delish. It was a roasted pumpkin and cashew hummus (without chickpeas). All it involved was about 2 cups of roasted pumpkin which I sprinkled with salt and cumin, 1/4 cup cashews lightly toasted and 2 cloves of garlic roasted alongside the pumpkin. Once everything had cooled down I added a good couple of tablespoons of tahini, juice of half a lemon and 1/2 tsp cumin. I then used my bar mix and pureed everything down to a smooth dip consistency. You could also make a normal hummus or search for your favourite homemade dip and bookmark a few to make over the coming weeks. I found this to be a great hunger buster when I needed something to nibble on I simply cut up a few carrot sticks and added a dollop on a plate and have at it. Store: To store the dip I popped it into an airtight container but if you wanted a snack on the go you could put a couple of tablespoons into a mason jar or preserving jar and slide in a few carrot or cucumber sticks into the dip and pop the lid on. You have dip on the go when you need it. The dip should last about 5-7 days depending on your ingredients. Prep: I used a massive bunch of kale to make these kale chips as you can see in the picture at the top of the post. You definitely want to go a little over the top with the amount kale you put on the tray to make these Cheezy Kale Chips as once they cook the volume of it will shrink by half. Destalk all the kale and place the leaves on a large baking tray. Drizzle with olive oil, sprinkle with salt and nutritional yeast - this is what will give it the cheesy flavour. I pop mine in a 175-degree oven and let it bake for about 6-7 minutes before tossing and popping back in for another 6-7 minutes. Repeating the process until the chips are crunchy. Keep a hawk-eye on it as they will burn SO easy. Store: Once cooled pop into an airtight container and pop into the pantry. I use these when I have an insane craving for chips or when the sugar cravings hit. So good. Prep: I always boil up 8-10 eggs for the week ahead. They are great for snacks, to be used as a protein with your lunch base or for breakfast if you are running late for the office or school drop off. Hello, that's me half the time. The kids love them as well so I always try to make sure to pop them in their lunch box a few times a week for a bit of variation. To get the perfect boiled egg I pop my eggs into a saucepan half filled with water. Pop it over a high heat and set the timer for 10 minutes. Once the timer goes off. Turn off the heat and let the eggs sit in the hot water for a further 5 minutes before draining and letting cool. Store: Pop in a container and place in the fridge for when you need them. They will last about 7 days in the fridge no problems. Make sure you don't peel them ahead of time and just do it when you are ready to eat it. Other suggestions: Need some other snack ideas? Why not whip up a batch of your favourite bliss balls for a sweet snack treat. Make up some chia pudding in a large bowl and use it for a quick breakfast or a snack with yoghurt, a sprinkle of nuts and some berries. Make a large batch of granola for a quick breakfast or snack option. It makes a great topping for the chia pudding or on top of a smoothie bowl. Portion out your favourite dry smoothie ingredients and frozen fruit in Ziploc bags and pop into the freezer. Just add milk when you are in need of a smoothie and you're in business. Make a quiche or zucchini slice up and have it in the fridge to be used either for a snack or as a base for lunch. Dry fry a bunch of nuts and seeds in a pan until golden and drizzle in a little tamari and toss until the nuts become sticky with the tamari. Let it cool down and pop into a jar. All that food above took me less than 90 minutes to prepare and cook and that was me working at snail pace and puttering around the kitchen. So it could be done in a quicker time if you got your skates on. This is a snapshot of what I ate for lunches and snacks last week. Insert a few pieces of fruit and some nuts and maybe, just maybe a sneaky piece of chocolate or two. If you are confused about how you would serve the lunch bases I talked about earlier let me talk about a few ideas you could do to serve it. I generally eat the same variation for lunches during the working week. I might make something different for the weekend as I have most likely finished my prepped containers of veggies. Below is an example of the type of lunch I would make using the prepped veggies. I generally warm up the about a cup and a half of veggies slightly so they are warm but not piping hot. I'll toss them with some type of greens whether it be lettuce, rocket or baby spinach. This is now the base of your lunch and to that, I then add some type of protein. Most likely it is a tin of tuna in olive oil such as below but sometimes I have some other kind of meat hanging around such as roasted chicken breast, leftover roasted salmon or a few boiled eggs. Now comes the best part the little add-ins. I like to add a few tablespoons of homemade saurkraut a dollop of hummus, a few pieces of avocado or homemade mayonnaise and a good crack of salt and pepper. Lunch is made in minutes and I haven't had to lift a finger to cook anything. I really hope that I have inspired you in someway to look at the weekend and start prepping food to save you time for the coming week ahead. It has been a lifesaver for me and I hope that you can find ways to incorporate it in your your way of life over the coming weeks. For my lovely readers I've done up a little free Lunch Meal Prep printable for you to download and print off. It's a sheet to write down meal prep ideas for you to achieve during your dedicated cooking session. Write down ideas that I've noted down above and stick it on your fridge once prepped so that you remember what you have waiting for you in the fridge. Make sure you tag me in your meal prep posts on social media and tag me with the hashtag #TWWMEALPREPLIKEABOSS. If you already meal prepping for your meals I would LOVE to hear from you in the comments below on what you do and things you make on your meal prep days. FREE CHOCOLATE LOVER'S EBOOK.... SUBSCRIBE BELOW! JOIN MY MAILING LIST & RECEIVE MY 30-PAGE CHOCOLATE LOVER'S EBOOK FOR FREE! GET NEW POSTS SENT TO YOUR INBOX! No spam or unsolicited emails will be sent. Thank you! Please check your email for a confirmation & your free eBook! 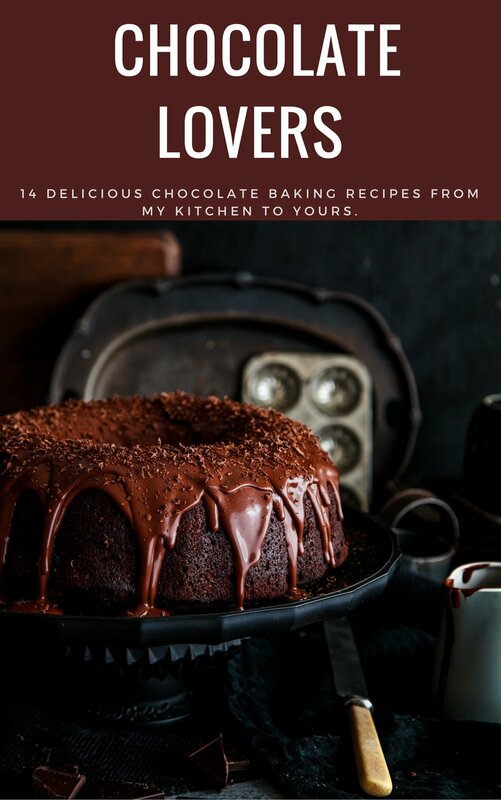 CHOCOLATE LOVER'S EBOOK FOR FREE!